Imogen's Typewriter. : Astrid & Miyu: March Secret Box! I finally broke down and got one of the Astrid & Miyu Secret Boxes that have been talked about a lot on blogs lately. I was so excited to get this in the mail- only two days after I ordered it! 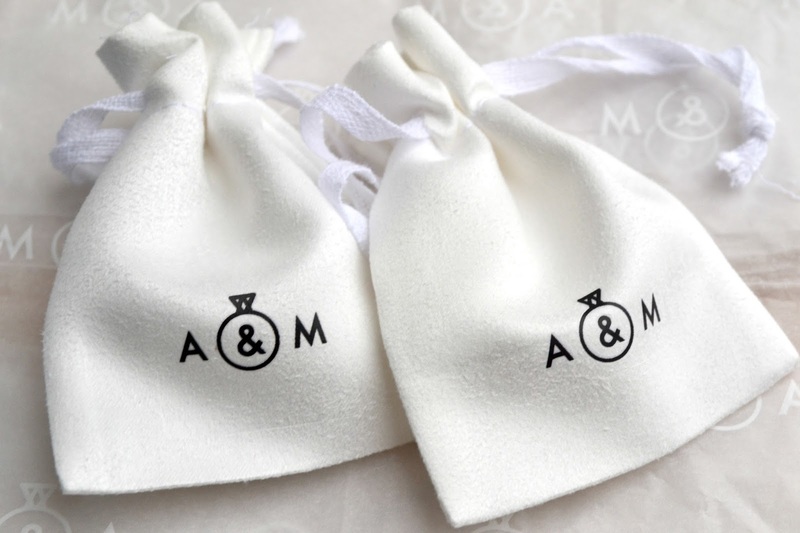 For those who don't know, Astrid & Miyu have a quarterly subscription service where four times a year you can pay £39 for a 'Secret Box' of a personalised selection of their jewellery picked for you according to what you say on their questionnaire. So- what's in the box!? Brad Pitt? Seven? When it comes to jewellery I pick quality over quantity. 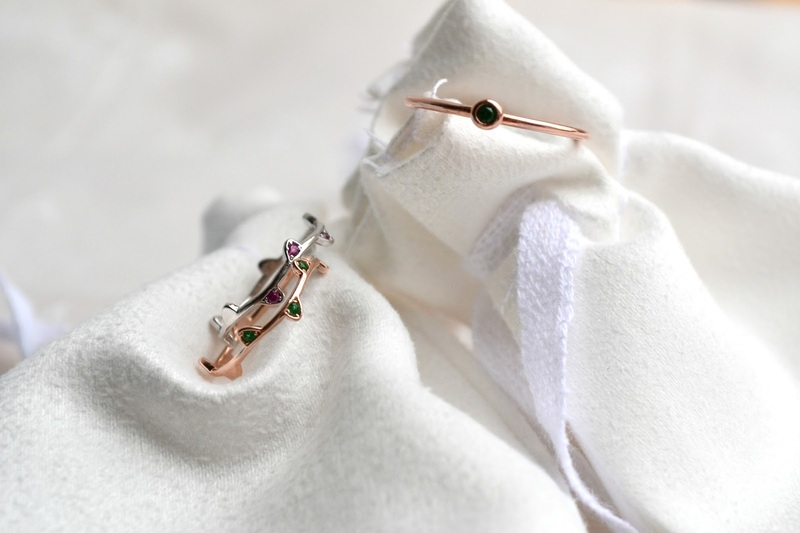 I like nicely made pieces that are going to last decades rather than fashion jewellery that is going to last weeks. Which means that I just don't own a lot of jewellery. I'm not really a ring person either just because I type a lot, I think I owned one before getting this box. But I'm in love with these three and they fit so perfectly that I barely feel them. I filled out a questionnaire saying what I liked and I'm pleased that this was what came. They're comfortable, beautiful and just to my taste. 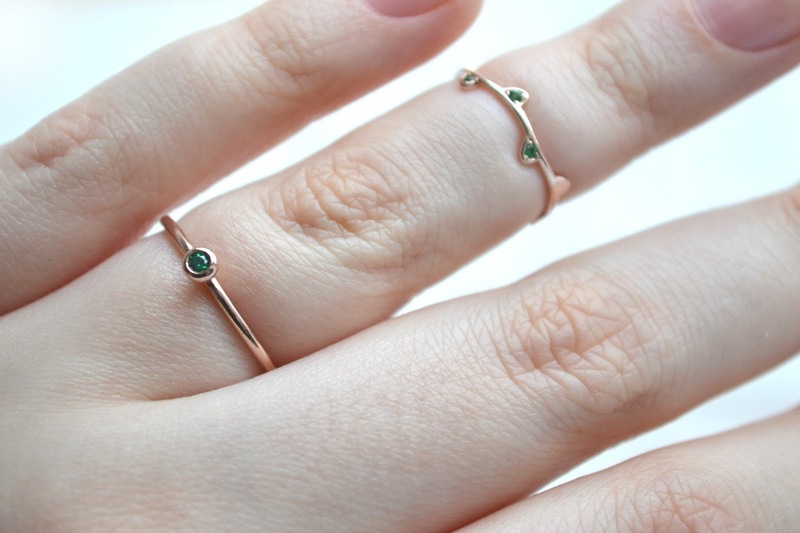 The Rosy Delicate One in Green Ring is £29 and the Floating Leaf Midi Rings appear to be £24 each but are not available on the website in these colours. So I paid £39 for the box for £77 worth of jewellery and delivery, not too shabby! 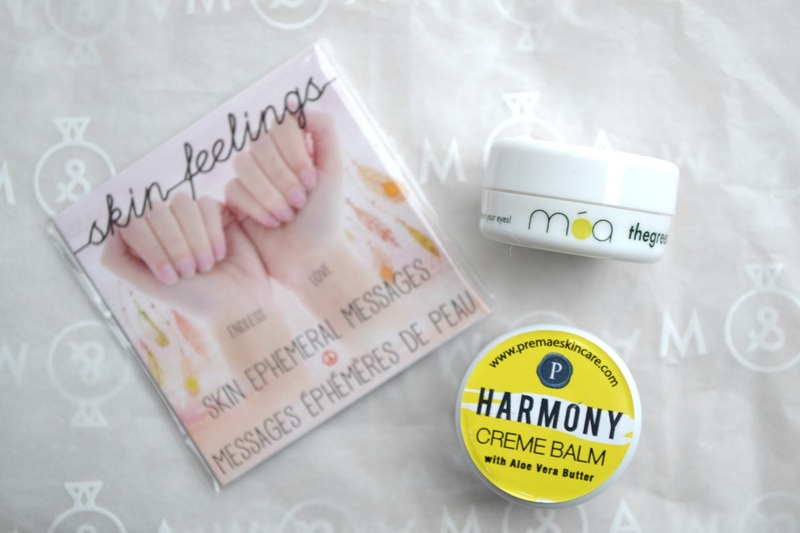 The box also came with Skin Feelings temporary tattoos, a sample of Premae Skincare Harmony Crème Balm and Moa The Green Balm. Along with discount codes for all of them and £10 off your next Astrid & Miyu order. I'm eyeing up a couple of things right now but I'm hesitant. 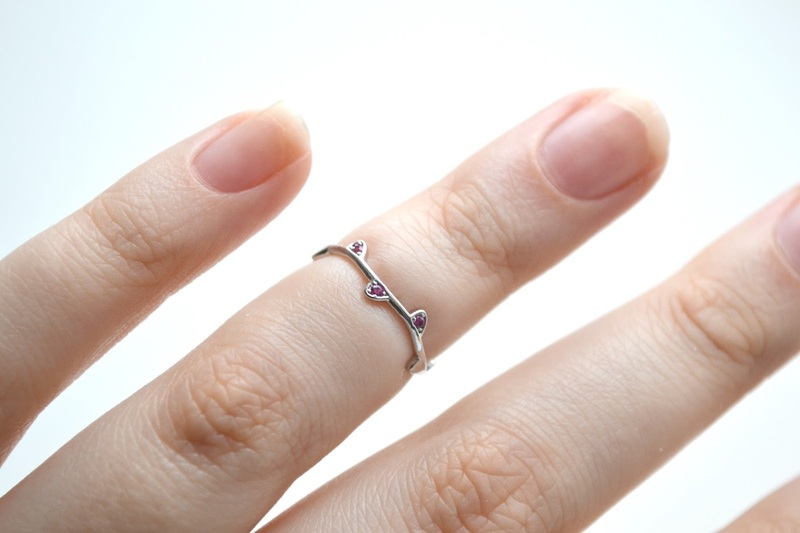 Even though these rings are all nice quality but I'm not sure about the prices for plated brass. Overall, the service is something pretty original. We'll have to see if I keep my subscription in 3 months. I think I might stick with drooling over Etsy. What do you think of the Astrid and Miyu Secret Box?